Following murmurs from last April about WhatsApp gearing up to allow payments in India, FactorDaily reports that Facebook employees in the country are presently testing the new functionality in the messaging app, and that the company plans to begin testing it with about 1 percent of its user base there within the first quarter of this year. That means that the Facebook-owned service will soon go up against numerous major players in India’s crowded mobile payments space. Built on the country’s Unified Payments Interface (UPI), which allows for instant money transfers between bank accounts at no charge, it’ll have to compete with Google’s Tez, local wallet service Paytm, and the government’s own BHIM app, among others. The news comes on the heels of WhatsApp’s launch of its new app that lets businesses message customers on the platform. However, FactorDaily’s source noted that only peer-to-peer payments are being tested on the messaging service at present, and tools for transacting with merchants haven’t been enabled. 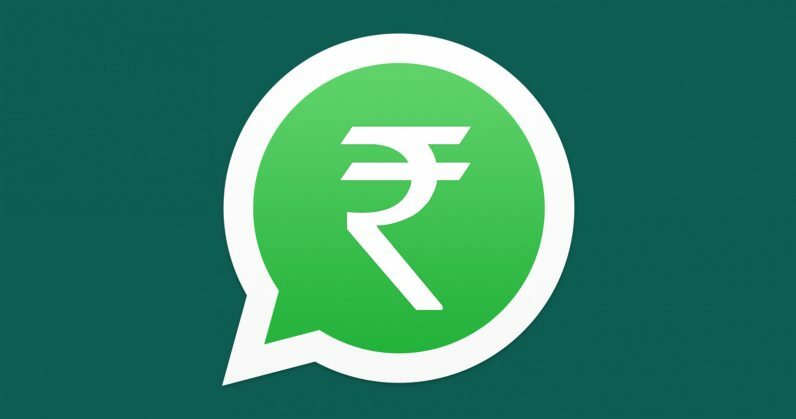 Beyond building the tech to support payments, it’s possible that WhatsApp is also attempting to tackle the challenges of setting up customer support channels for its payment solution, as well as looking for ways to deal with the fact that UPI-based transactions need to be audited by India’s banking regulator – which doesn’t gel well with the service’s promise of end-to-end encryption for conversations. WhatsApp will also likely need to figure out how to get merchants to use its platform to receive payments from customers, because that’s where the money is. Now, about the competition: Google’s Tez, which launched in India last September, is getting a major update that will let users pull up their bills from service providers for things like electricity and broadband connections, and pay them off from within the app. When the company announced the upcoming functionality last month, it noted that it was closing in on 12 million users nationwide, and that it accounted for 73 percent of all UPI-based payments in November 2017. Paytm has 280 million registered users on its platform, and has lots more on offer already. In addition to its digital wallet which works with a wide range of services including Uber, it also runs a payments bank that lets you open a savings account right from your phone. It also also allows for UPI-based transactions, as well as shopping from a multi-vertical store in its app, and recently bolted on a messaging service. For its part, WhatsApp has a large base of 200 million users in India, which is a good place to be. But it’ll have its work cut out for it in building the additional functionality and partnerships required to compete with the aforementioned players. The race to help India ditch its wallets and purses is on.